INDIANAPOLIS -- A man has been arrested in connection with a deadly crash on Indianapolis' southeast side. The crash happened just before 5 a.m. Friday at Emerson Avenue and I-465, near Beech Grove. The Indianapolis Metropolitan Police Department says a silver Nissan was traveling eastbound on I-465 and exited onto Emerson Avenue. 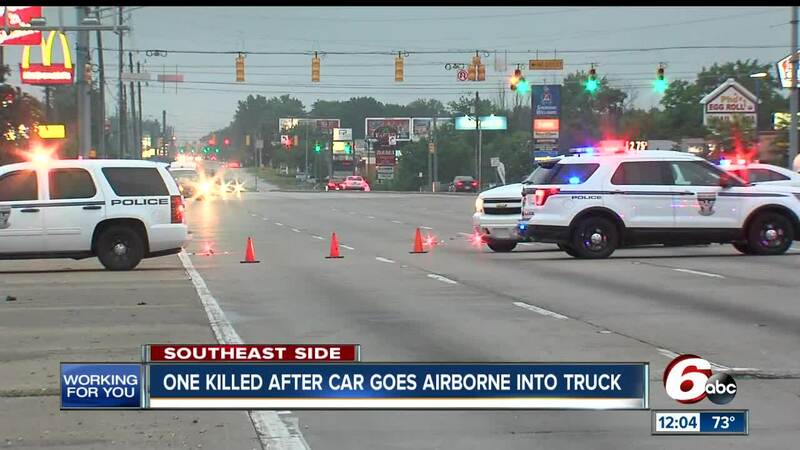 It then went airborne and struck the driver's side of a red GMC pickup that was stopped at a traffic light. The driver of the GMC truck was killed. Police arrested Aaron Henry on Friday after he was released from the hospital. He's facing a preliminary charge of causing death when operating a motor vehicle while intoxicated, according to investigators.